pilihan peminat: Quote #6 "Fatty-fatty no-parents." Who do anda think is the creepiest character? What is your favourite Core? Who's your kegemaran character in the single player campaign? Who is your kegemaran character(s)? 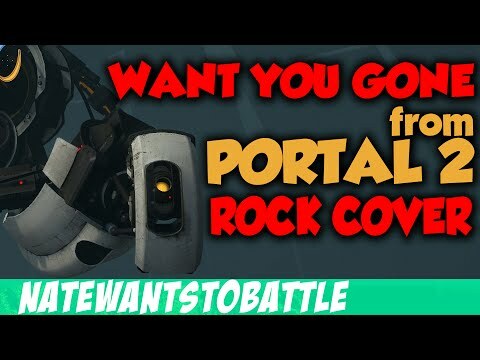 Where can I get Portal 2? Will there be a Portal 3? Why does Portal 2 keep crashing!? Where can I get Portal 2 cheap online? I returned to my apartment one hari with my hair singed and much shorter than it had originally been at the beginning of the day. But I didn't care, not when I had finally built a robot! We had worked on it for a year, and it was finished today. It was put on three legs and was shaped like an oval. It was originally meant to shoot out cake, but someone had accidentally switched the cake with bullets. I got to name it~ after all, it was my birthday~ and I called them turrets. We were working on duplicates, and stash them away until we needed them. "Bye! Good luck!" cried my friend Lisa as I pulled my car away. "Bye!" I called back to my roommate. The hari was finally here! I was going to an interview for Aperture Science! I felt my hands shake with excitement on the steering wheel. In just a month, I might have a job as a scientist! I drove to the address the lady on Aperture's phone had told me. A white building stood there, with a sign saying "Aperture Laboratories" above a glass door. I was bullied, too. "Hey, nerd," the nasty kids would sneer. "Was it anda who was the idiot who discovered e=mc2?" Then they would push me into the locker and stalk away, laughing. a comment was made to the photo: Portal style! a poll telah ditambah: Who do anda think is the creepiest character? What is NOT one of the things Wheatley promises is at the bottom of the "Pit Boss Achievement" pit? Who is Your kegemaran Portal 2 Character??? Would it really be possible to make a portal gun?